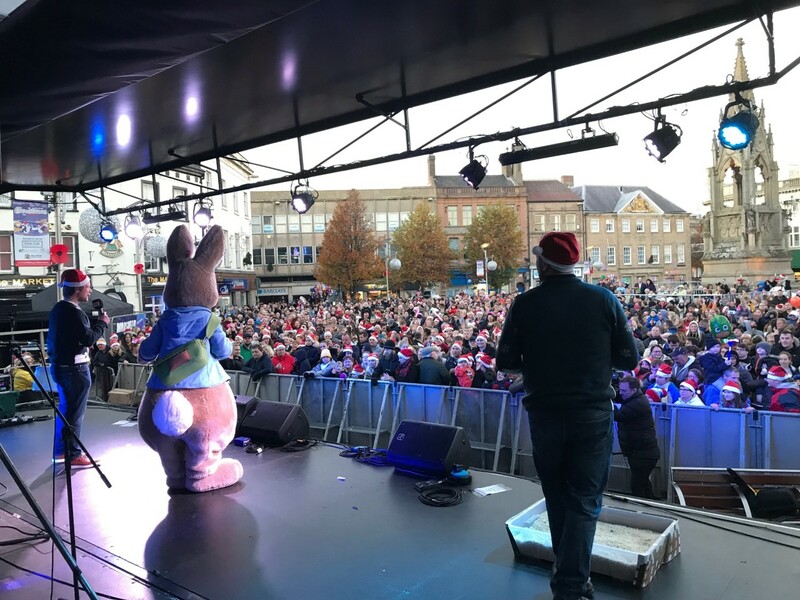 Mansfield's market place played host to one of the biggest lights switch on events in the town's history on Sunday (Nov 18th). 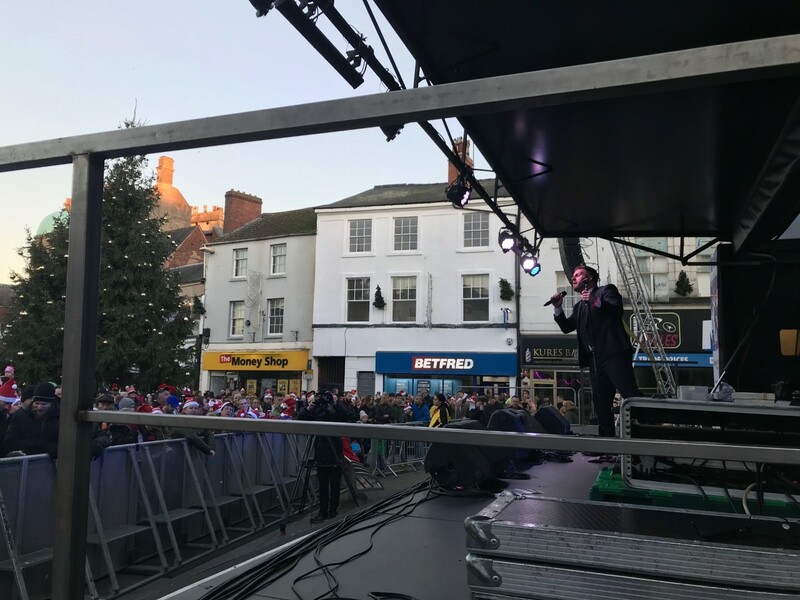 Thousands of families packed around the Bentinck Memorial to catch the free stage show put on by Mansfield District Council and its partners. 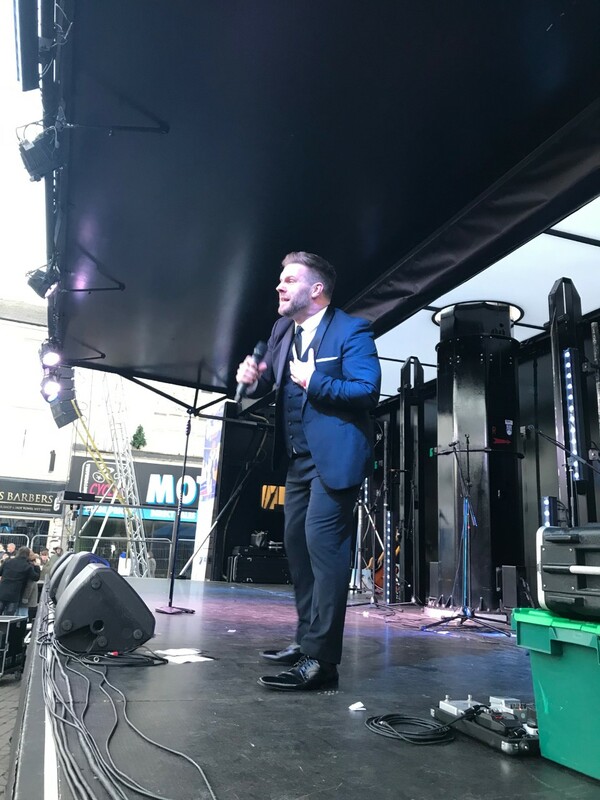 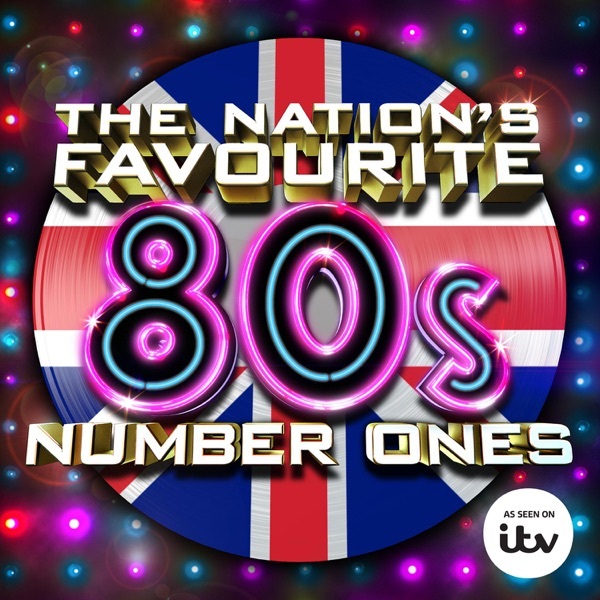 There was a bit of something for everyone during the afternoon including live music, provided by local opera singer Alexandra Stenson, Gary Barlow tribute act Dan Hadfield and Nottinghamshire duo Brotherhood. 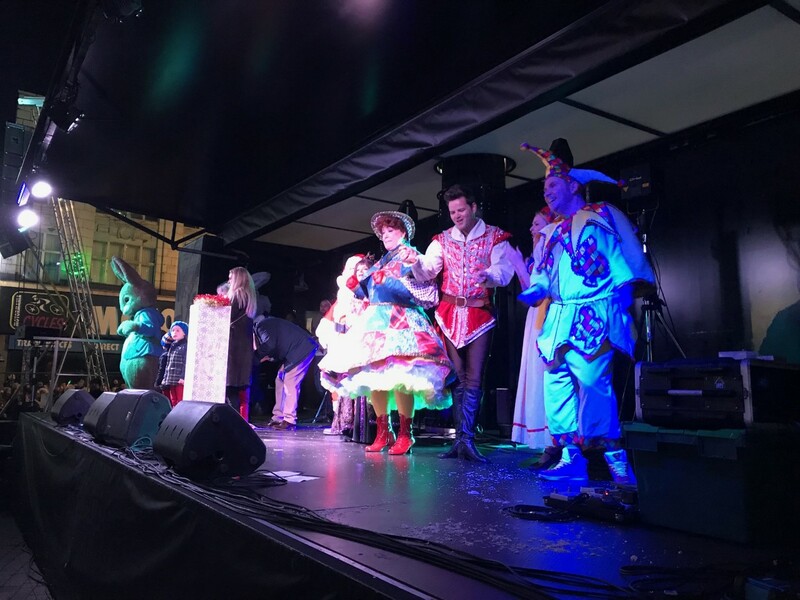 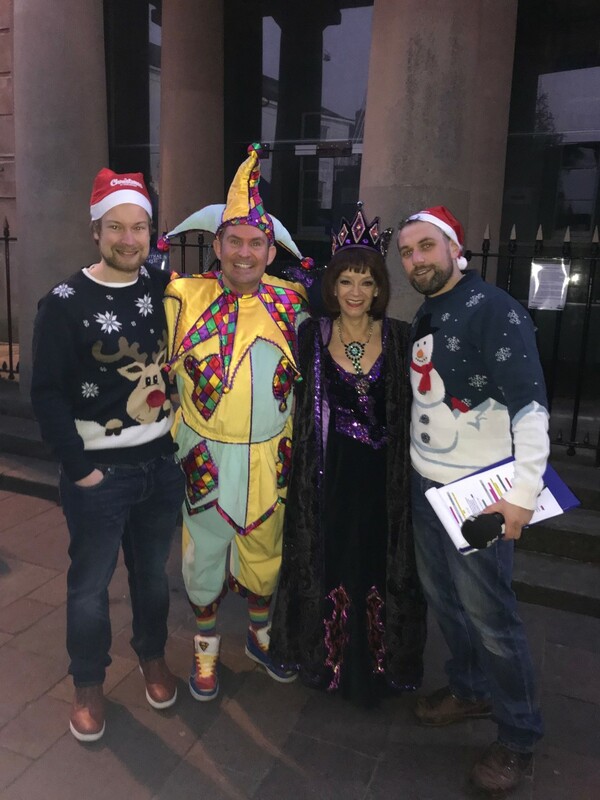 The crowds were also treated to an appearance from Peter Rabbit and the stars of this year's Palace Theatre Panto, Snow White & The Seven Dwalfs. 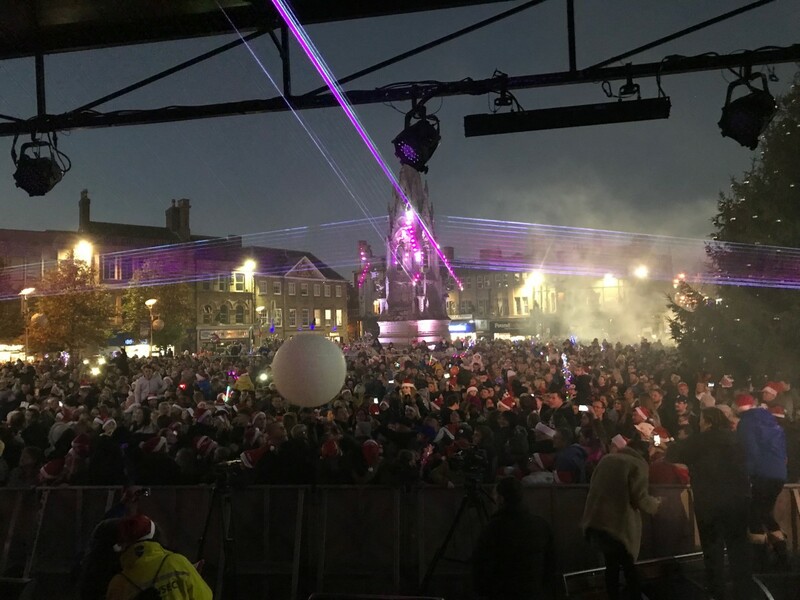 Alongside that there was also a laser show and when the lights were switched on just before 5 the event concluded with a fireworks spectacular. 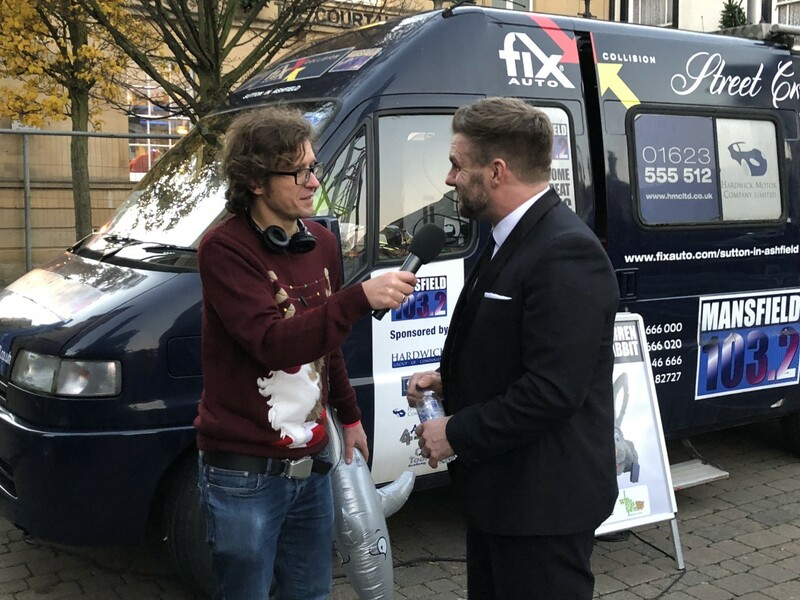 It marks the start of Christmas in Mansfield, which this year includes an 'I Love Mansfield' Christmas Market and for the first time ever an Ice Rink. 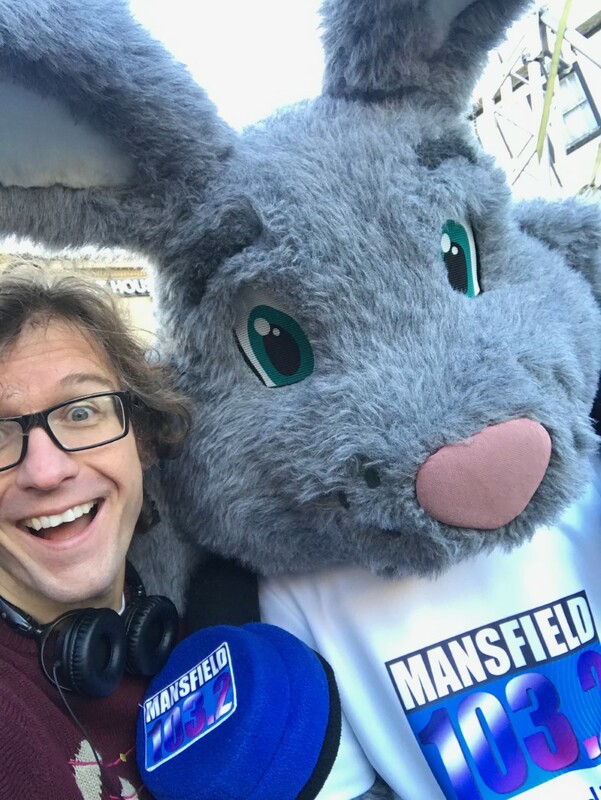 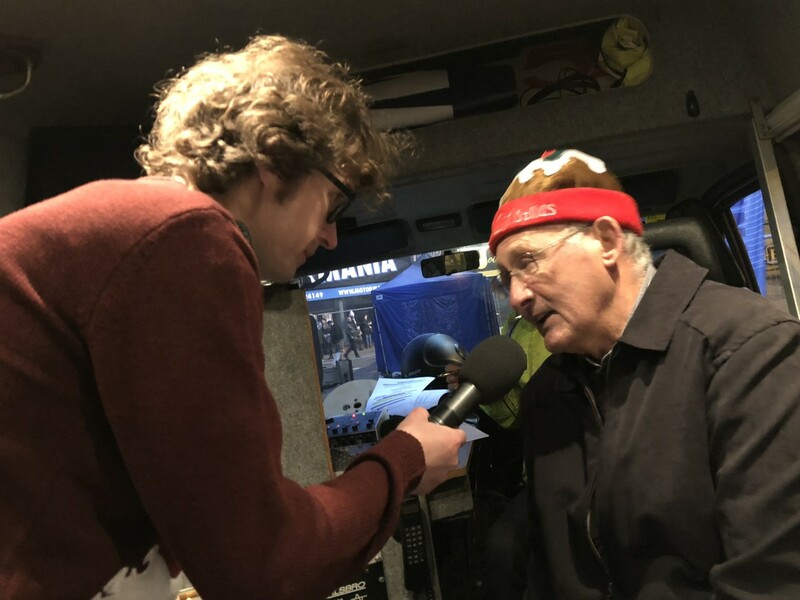 To find out more about what's happening over the festive period in the town head to http://www.mansfield.gov.uk/christmas and keep listening to Mansfield 103.2. 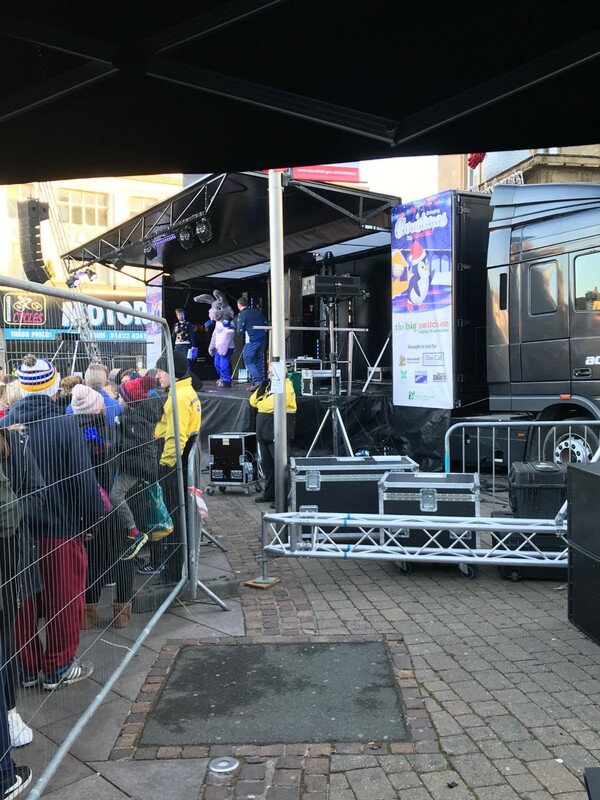 Meanwhile, here are some of the back stage photos our team took at the event! 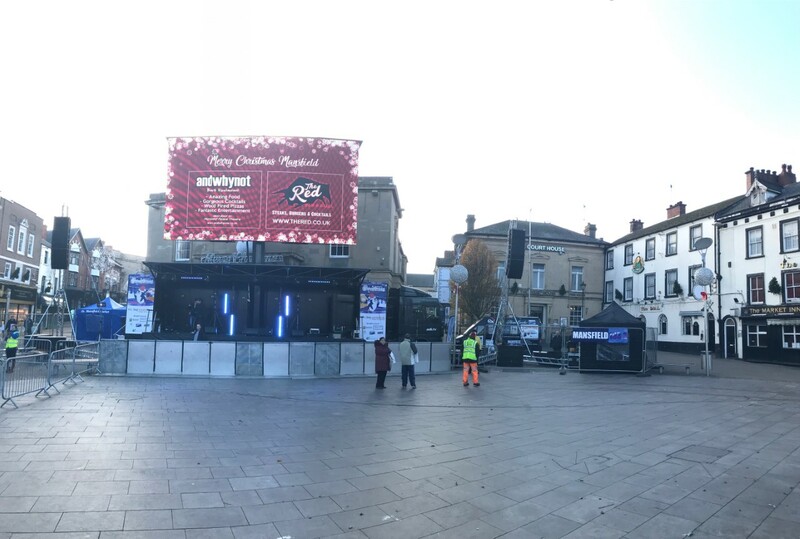 The calm before the storm as crew set up the stage. 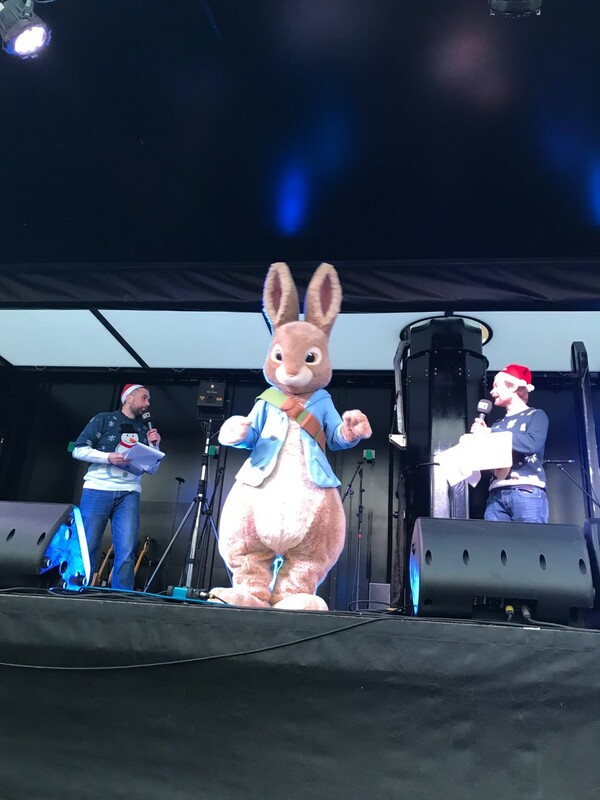 Matt Freeman, Tristan Walker and Warren The Radio Rabbit kick things off with the pre show Christmas Party, the crowd were in fine voice! 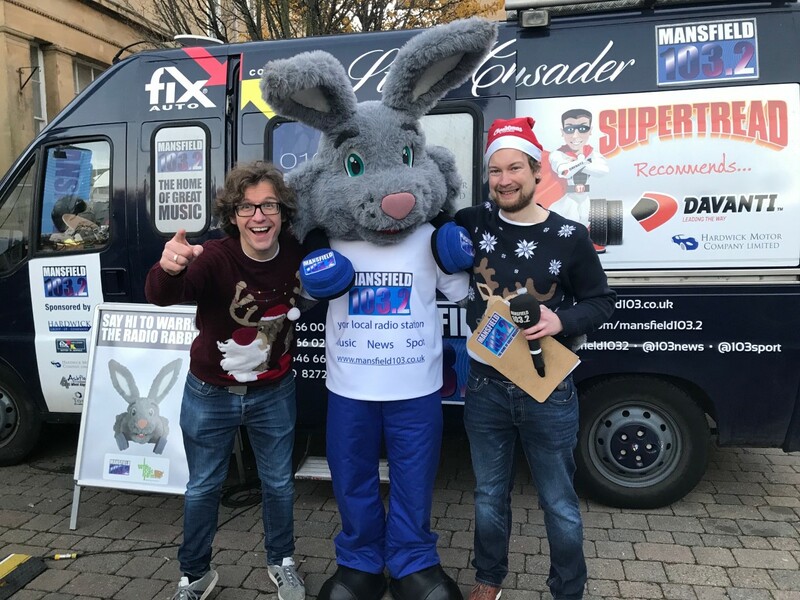 Excitable radio presenters with Warren. 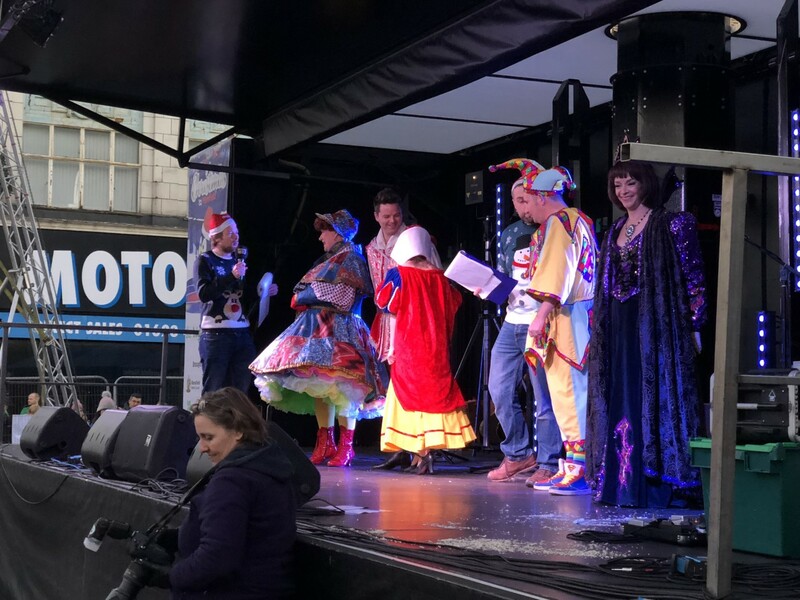 The Mansfield Palace Theatre Panto cast take to the stage and lead the crowd in a rendition of Baby Shark! 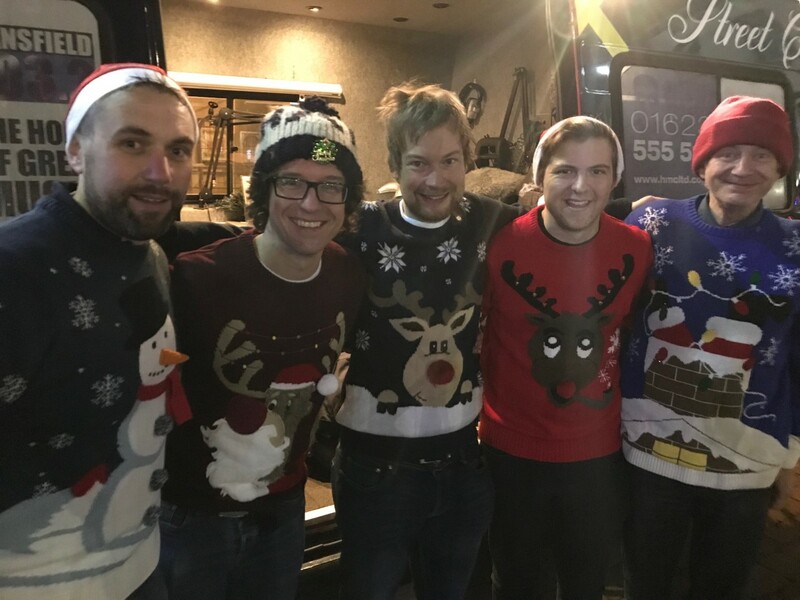 The Mansfield 103.2 Big Switch On team sporting their Christmas Jumpers! 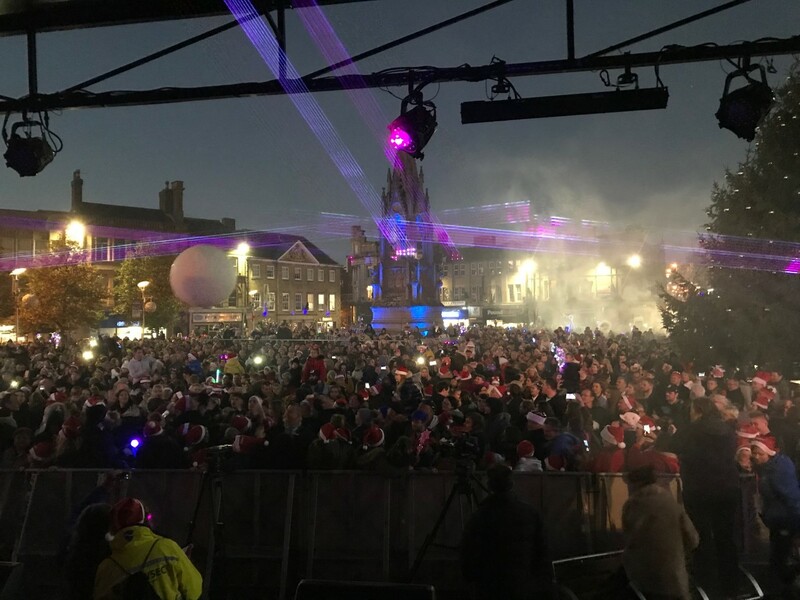 Everyone back on stage for the Big Switch on which was carried out by John and Carolyn Radford and their Children. 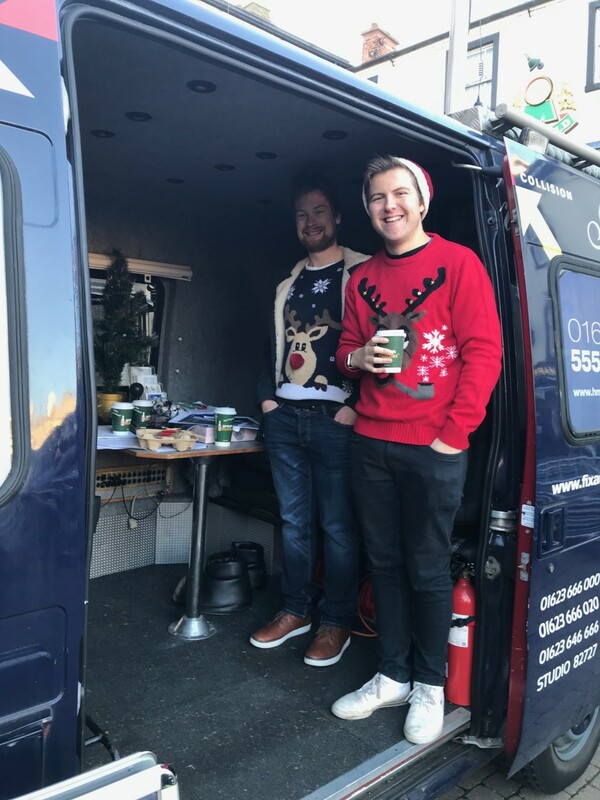 This year's event was sponsored by One Call. 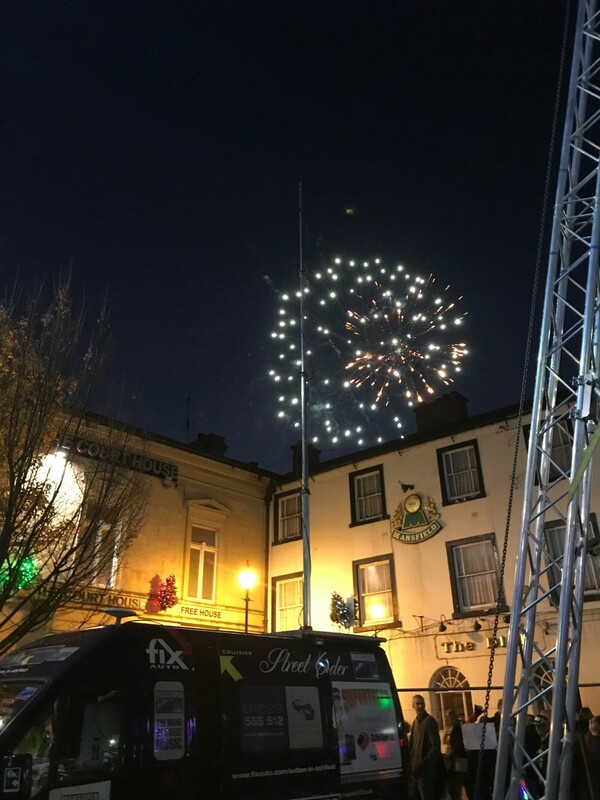 Lights went on and the show ended with a spectacular fireworks finale.